It’s human nature to focus more on our weaknesses because we are programmed to be alert to risks in our environment. We end up focusing on what isn’t working, often overshadowing all the positives. But what if you focused on and played to your strengths instead? This practical and succinct book aims to revolutionise your life by helping you to identify what exactly makes you happy so that you will make the right choices; decide whether a job, activity or course is right for you; and understand why things seem to flow with some activities and some people, and not others. Knowing these things about yourself, and spending more time on what really energises and fulfills you – your strengths – will ultimately lead to a happier and more successful life. 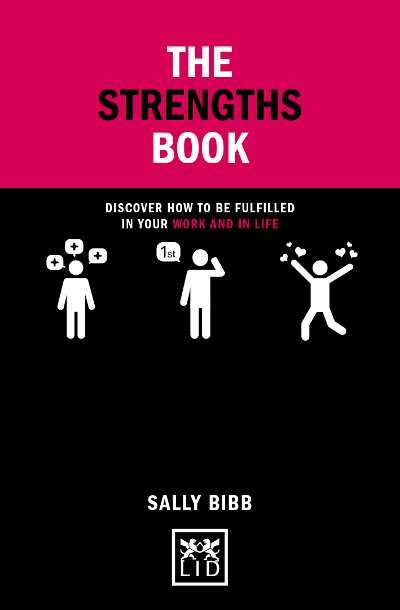 Sally is the Founding Director of Engaging Minds, a specialist strengths consultancy. Her background is in international organisational change and development in Europe, USA, Latin America and Asia. Before setting up Engaging Minds she was a director at The Economist Group, publisher of The Economist magazine.